A poetic voice develops in different ways and from different sources. In this paper, a poetic voice is brought to the experiences of patients and family members as recounted in the first phase of a UK National Health Service funded Q-methodological study, the key outcomes of which are summarized. Their stories are presented as a single poetic performance text crafted from the analysis of combined transcripts of three focus group discussions. The performance bears witness to the sadness, frustration, and resolve of those living with chronic low back pain, and offers an additional hearing to that provided by the main study. The primary intent of the initial focus group transcript analysis was to look for recurrent accounts from patients of what seemed to be critical to their self-management of chronic low back pain. These would be set alongside the viewpoints of healthcare providers (including representatives from physiotherapy, clinical psychology, pain consultancy, general practice, orthopaedics, rheumatology, occupational health, and practice management in primary, secondary and third sector care services). Subsequently, these combined accounts were organized into ten descriptive themes across the texts. By filtering the categories within them (key experiences) and sub-categories (what characterized them), a set of sixty propositional statements was derived (a Q-set). A further cohort of research participants rated these statements (Q-sorting) along an agree/disagree continuum according to a defined scale and matrix specific to the Q-methodology process.6 The completed Q-sorts underwent statistical analysis using principal component analysis and varimax rotation with Kaiser normalisation. A four factor solution was accepted because each factor: a) had at least two ‘factor exemplar’ Q sorts loading significantly on it alone; b) satisfied the Kaiser–Guttman criterion, which states that all extracted factors should have an eigenvalue greater than unity (λ> 1) [4.23]; c) offered a clear, distinct and theoretically meaningful viewpoint on self-management. These four viewpoints are summarised in Box 1. “Changing myself.” A strongly psychological approach, needing a lifestyle/mind-set change, expressed mainly by health professionals but also shared by patients. A cure is unlikely, so patients should be willing to make lifestyle changes to cope with it. Being positive is key to gaining a good understanding of the problem and overcoming any fear or uncertainty that might prevent the important business of staying physically active. The process is all about patients regaining control of their lives by changing their lives to cope better with the pain. “Changing what I do.” A strongly pragmatic approach guided by accurate information and practical strategies, shared mostly by patients and some professionals. Psychology and relationships are different life issues best kept separate from chronic low back pain problems and their solutions. By carefully observing what works and what doesn’t, life can be organised to maximise their capabilities and minimise future flare-ups. Patients want to plan and organise their lives in accordance to their pain tolerance so that they can get on with their lives. “Not sure what to change.” Mostly patients and few practitioners voiced this perspective. The main focus was on the uncertainty of how to manage the complex characteristics of chronic low back pain. Managing pain is not a simple affair and cannot be successfully managed without help. Because chronic low back pain is so complex, a strong, trusting relationship with healthcare practitioners is important, so that help can be accessed as and when needed. However, practitioners’ advice must be easily transferable to everyday life. “The others must change.” Only patients voiced this perspective. They felt very reliant upon practitioners to manage their pain effectively. At the same time, there is uncertainty about the extent to which they can be relied upon. This perspective is concerned with how patients are portrayed in society. Since pain is invisible, others do not necessarily take it seriously or believe them. They want to challenge the perception that they might be avoiding work or playing the system. Their wish is for mutual understanding between practitioners, other patients, friends and families. For more details on criteria for factor solutions in Q methodology see Watts & Stenner (2012). The Q analysis fulfilled the primary purpose of the project brief. However, it became clear during the focus group interviews with patients that they were caught up in stories that were “too lively and too wild”7 p1 to simply be tied to the strategic post of rateable statements. Their stories demanded more from us. Taking our cue from one of the patients, who described her life as sounding “like a drama”, we repositioned ourselves to try and achieve a more reflexive engagement with the participants. We interwove stories across all three focus group transcripts, and VC crafted these into a single poetic performance text, based on the strategies described by Richardson.8 The potential of poetic inquiry as a way of knowing through poetic language and devices, and as an expression of affective experience, is increasingly celebrated, and the scope of its application is wide (see Prendergast for a comprehensive account9). Poetic inquiry may be categorized in terms of the voice engaged, for example, researcher-voiced poems may be derived from field notes, reflective journals, or auto-ethnographical writing in a research context. Participant-voiced poems may be created from interview transcripts, or created de novo by participants. Such poems may be written in collaboration with researchers, or reflect singular or multiple voices. We reworked or (re)presented the transcribed data, in the way described below, to create the ‘found poem’10 that follows, although in doing so we were mindful that we were only “moving in the direction of poetry”11 p213 in terms of structure, not composing in the way of those steeped in the traditions of poetry as a creative art form. To create “It sounds like a drama” the already thematically coded transcripts were treated as one document, which was re-read several times. Phrases were cut and pasted under new thematic headings (which we used to divide the poem into ‘dramatic acts’) then played with poetically to create rhythm and resonance with an economy of words. This process involved making choices to craft an evocative collective response, which is linguistically faithful to the transcripts. Pelias uses the metaphor of a camera, which captures the most compelling pictures.13 Then each frame is carefully studied, so that each shot is significant and many are left on the cutting room floor. In so doing we hoped to “…weave a stronger fabric” than was possible with separate stories.14 p798 By trying to show as much as tell these stories, we sought to go beyond the confines of the factor solution. it’s not a place I want to be. no-one came for two weeks. and I thought that was it – for life! and two Dobermans wandering round! back operation eight weeks ago. to push, carry, stretch or bend. And that’s been a nightmare, you know. sometimes I get very down. I find I’m managing my pain, not too bad. find different ways of getting round things. I wouldn’t be without the grabber! It’s not just like I’m phoning off sick. it’s not going to help you at all. I laid on the floor, for six months. I had to be on site. I’ll get up and move. can’t do what I want with my children. going to theme parks and stuff like that. It’s stopped me from doing a lot really. It takes your dignity away as well. I’ve lost the closeness of friendships I think. we’re always the first ones to leave. you just do what comes straight in your mind. but you do, you get through the day. you’re back where you started. I want my normal life back! We have referred to our representation variously as a poem, performance text, and by its title as drama. These last two may be thought to carry some assumption of live performance that goes beyond a mere narrative.15 However, in striving for an evocative impact, the criteria for judging it may be considered performative in the way that Galvin and Todres describe.16 That is: does it tell us something that connects with universal qualities to which an audience can relate personally; does it help an audience to see more clearly by increasing the sense of contact with the experience, without fully possessing it? In other words, to what extent does the poem succeed in making the participants’ voices present, not through any presupposition of ‘truthfulness’ but through a constructed, authentic, composite testimony based on the lived experiences of real people rendered poetically? For practitioners engaged in judgement-based practice, they should not only pay close attention to the particularities of the overtly ‘known’, but they should also strive to relate to the greater whole of the, as yet, unknown; to gain some embodied sense of what the experience feels like.16 As narrators of their chronic pain stories, patients confront us with alarming, seemingly unanswerable questions and expectations that often fly in the face of prevailing health care discourses. As seasoned listeners, we may fall prey to the assumption (fear?) that these stories (played out in the drama above) of ‘heroes and villains,’ ‘revolt and subjugation,’ ‘responsibility and blame,’ approval and disapproval,’ ‘acceptance and denial,’ harbour “expectations that need restraint.”17 p9,18 Not least because they may seem impossible to fulfill. Thus, even as we strive to be “attuned to the patient through engagement, on the side of the patient through compassion, and available to the patient through reflection”19 p1899 it is easy to become disengaged and blasé; to simply go through the motions, foreclose on the possibility of other hearings, and render ourselves unavailable. But for the patients and their families, the drama continues. Approaches such as that offered here can act as “enabling fictions”, which in their performance, evoke empathic responses to human experience, and create spaces where others might see themselves. 13 p9-10 In so doing, they invite further multiple interpretations and enliven the possibilities for dialogue and relational understanding. Our thanks go to the patients and family members who gave generously of their time and whose words provided inspiration, common sense, and hope. The research reported here was funded by a grant from the Research for Patient Benefit Programme of the UK National Institute for Health Research (PB-PG-0909-20039). Osborne A, Blake C, Meredith D, McNamara J, Phelan J, Cunningham C. The lived experience of low back pain among Irish farmers: case studies. J Agromedicine. 2014; 19(2): 181-190. Corbett M, Foster NE, Ong B. Living with low back pain – stories of hope and despair. Social Science and Medicine. 2007; 65(8): 1584-1594. Fritz JM, Hunter SJ, Tracy DM, Brennan GP. Utilization and clinical outcomes of outpatient physical therapy for Medicare beneficiaries with musculoskeletal conditions. Phys Ther. 2011; 91: 330-345. Watts S, Stenner P. Doing Q-Methodological Research: Theory, Method and Interpretation. London: Sage; 2012. Frank AW. Letting Stories Breathe. A Socio-Narratology. Chicago, London: The University of Chicago Press; 2010. Richardson L. Poetic representation of interviews. In: Gubrium JF, Holstein JA, eds. Handbook of Interview Research. Thousand Oaks, CA: Sage; 2001: 877-892. Butler-Kisber L. Artful portrayals in qualitative inquiry: the road to found poetry and beyond. The Alberta Journal of Educational Research. 2002; XLVIII(3): 229–239. Glesne C. The rare feeling: re-presenting research through poetic transcription. Qual Inq. 1997; 3(2): 202–221. Neilsen, L. Learning to listen: data as poetry: poetry as data. Journal of Critical Inquiry into Curriculum and Instruction. 2004; 5(2): 40–42. Gannon S. (Re)presenting the collective girl: a poetic approach to a methodological dilemma. Qual Inq. 2009; 7(6): 787-800. Saldaña J. This is not a performance text. Qual Inq. 2006; 12: 1091-1098. Holyoake D-D. Episode II: The Small Town Counselling Industry: A Regressive Auto-Ethnography. Birmingham, UK: Happy Fool Publishing Group; 2012. Werner A, Widding IL, Malterud K. ‘I am not the kind of woman who complains of everything’: illness stories of self and shame in women with chronic pain. Social Science and Medicine. 2004; 59(5): 1035-1045. Charon R. Narrative medicine. A model for empathy, reflection, profession and trust. 2011; 286(15):1897-1902. Vinette and Janet represent a team of clinicians, researchers, and service users who worked together on the project, heard the participants’ stories, and brought their voices to these pages. 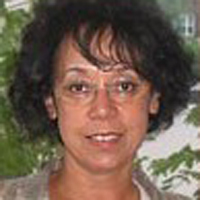 Dr. Vinette Cross is a Fellow of the Chartered Society of Physiotherapy UK. She is a Senior Research Fellow in the Faculty of Education Health and Wellbeing, University of Wolverhampton and Senior Research Fellow, (Applied Pedagogy) Centre for Health Research, School of Health Sciences, University of Brighton. Her particular interests lie in the area of professional learning and mentorship at all levels across the range of health and social care disciplines, and creative approaches in narrative inquiry. Dr. Janet McGowan is a member of the British Pain Society and Faculty of Pain Medicine of the Royal College of Anaesthetists, UK. An anaesthetist by primary training, Janet’s special interest is in Chronic Pain Management, working with patients suffering a variety of persistently painful conditions including musculoskeletal, neuropathic and mixed pain. Janet believes in a bio-psychosocial and multidisciplinary approach that includes psychology, occupational therapy and physiotherapy, as well as medical input and support, and group work to provide ongoing help and teach sufferers to self-manage what can be an incurable and long term condition. Janet has been involved in education both for health workers and patients on the skills needed to cope with such a complex problem.